Mantis Tours is a reputable local tour operator that is specialized in Petra tours. Our tours to Petra from Eilat departs daily, usually in small groups. So, it is recommended to book your tour in advance. We will pick you up from your accommodation in Eilat (we pick-up from all the hotels in Eilat, from Eilat airport and from Eilat central bus station) at 07:30am, and take you to Arava border crossing. Just after crossing the border to Jordan, our Jordanian representative will meet you at the border, help you with the border procedures in the Jordanian side of the border, and take you to your professional Jordanian English-speaking guide (guides in other languages are also available) who will take you to your Petra Day Trip. 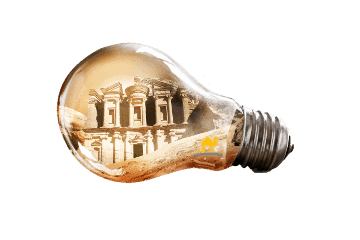 Our Petra tours starts in Aqaba. From Aqaba we will have about two hours drive to the UNESCO city of Petra, traveling through a scenic route of the “Desert Way”, and stopping on the way in an observation point on the magnificent view of Wadi Rum. 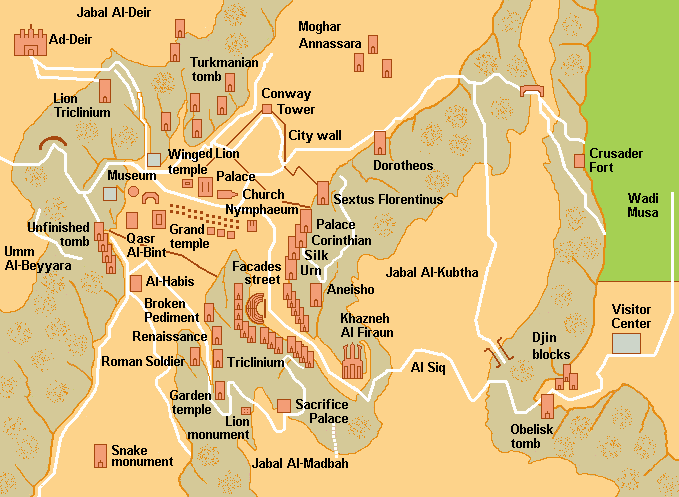 During the drive, your specialist guide will give you an in-depth briefing on the history of Jordan and its culture. * We will provide you free water in the bus. Upon arriving to Petra, your guide will give you the entrance tickets to Petra, and we will enter Petra through the Siq (a narrow gorge). Included in your package is an optional horseback riding for the first 600 meters of the site, from the Visitor’s Center until the beginning of the Siq (tipping the handler is required – minimum $3). On the way to the Siq, we will see the ‘Silica Quarries’, the Jinn Blocks and the ‘Obelisk Tomb’. We will walk through the narrow Siq into the rock-cut city of Petra. Just after the end of the Siq, we will reveal the most famous monument of Petra – the Treasury (Al Khazneh). After visiting the Treasury, we will continue our tour along the impressive Cardo (a Street of Facades) towards the Nabataean Theatre. We will see the views of the Royal Tombs, which you will be able to climb on your free time. * Those who have difficulty walking can hire a donkey-drawn buggy for a supplement payment to the local people. Notice that on our two days tour to Petra and on our Petra Private Tours you will be able to visit also the Monastery (Ad Deir), which is the most impressive monument in Petra. On the way back to the Visitor’s Center, you will have an option to ride on camels for extra charge. After the walking tour in Petra, we will go to a local authentic restaurant, which is located not far from the entrance to Petra, where you will have a buffet lunch (included in the price). After lunch, we will drive back to Aqaba, have a short panoramic tour of Aqaba (if time permits), and cross the border back to Israel at Arava border crossing. Our representative in Eilat will wait for you around 19:00 at the Israeli side of the border to take you back to your accommodation, and you will also be given a personalized souvenir as a present. 07:30 Pick-up from your accommodation in Eilat (we pick-up from all the hotels in Eilat, from Eilat airport and from Eilat central bus station) and transfer to Arava border crossing. 08:00 Crossing the border at Arava (border control and customs) with the help of our professional staff. 09:00 Meet our Jordanian guide, and drive to Petra in our new model air-conditioned vehicles through a vast and comfortable highway (the “Desert Way”), following a scenic route on the mountain side, and arriving at Petra’s historical site, known as one of the Seven Wonders of the World. 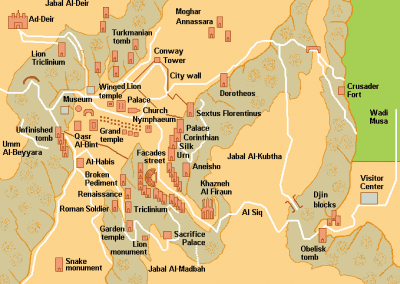 11:00 Arrive to Petra – guided tour in the red-rose heritage city. * Included in the price is a short horseback riding for the first 600 meters of the route. 15:30 Lunch at a superior local authentic restaurant in Petra (included in the price). 16:30 Drive southwards back to Eilat through a view of Wadi Rum. 18:30 Short panoramic tour of Aqaba (if time permits). 19:00 Arrive to Arava border, and crossing the border back to Israel. 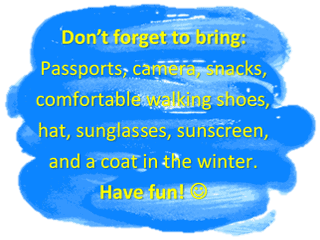 19:30 Drop-off back at your accommodation in Eilat (or at Eilat airport). * Free souvenir and Jordan brochure. Entrance fees to Petra for one day. Horseback riding for the first 600 meters of the site. Lunch at a local authentic restaurant in Petra. $65 for border fees paid by cash only. $75 for visa to Jordan paid by cash only. Lunch in Petra will be late, so it is recommended to eat a big breakfast or bring a breakfast box with you (given for free in most of the hotels). Guide in other languages is available for extra $150 per booking in an advance notice.